Welcome to a new and exciting school year. The opening of the 2018-2019 year went very smoothly here at May Watts due to the hard work of the dedicated teachers, office staff and parents who contribute to the rich life of our school community. On Wednesday, September 26th, you are invited to visit your child's teacher during Parent Orientation/Curriculum Night. This informational night is designed for parents only to attend. Please do not bring your children because there is no place for them to sit during the curriculum presentations as the LMC is closed that evening. Each classroom teacher will make a presentation regarding the district's curriculum and will provide information specific to his or her classroom. 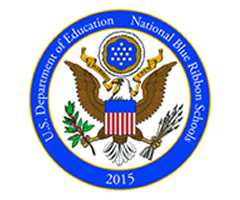 School-wide Presentation in Gym	6:00 – 6:30 p.m.
Kindergarten through 5th grades, Session 1	6:35 – 7:05 p.m. Math Sessions (Grades 3-5 only)	7:10 – 7:25 p.m.
Kindergarten through 5th grades, Session 2	7:30 – 8:00 p.m. Please remember that due to the large number of parents in attendance it is not possible to discuss individual student progress. Conference sign up will be conducted electronically this year. More details to follow soon! The staff and I look forward to seeing you on September 26, 2018.